DENVER (KDVR) -- A new mother wants moms to know the rules about traveling through airports with breast milk. 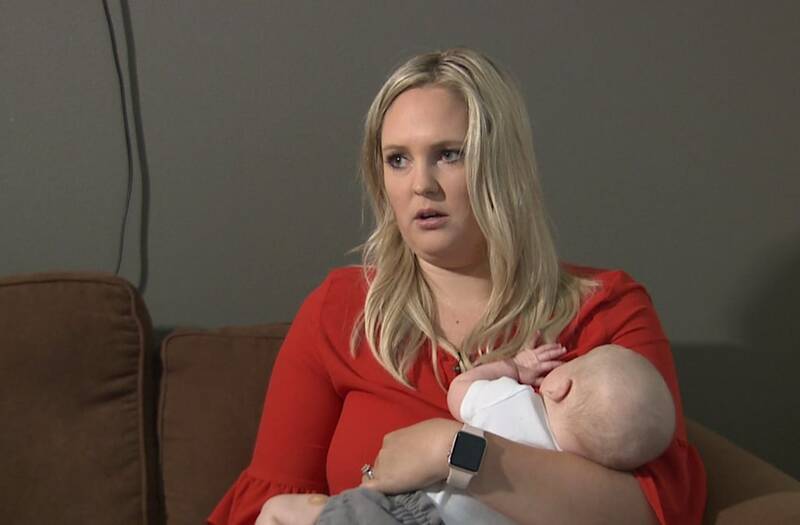 That's after she says Transportation Security Administration officers dumped her breast milk at security at Denver International Airport. The agency has apologized because the officers weren't supposed to do that. She said her first time traveling with her 4-month-old went smoothly until she reached security at DIA. That's when some of her breast milk didn't pass the screening. Britney Shawstad and her baby boy Harisson flew out of Denver to visit family in Seattle last month. "I packed up breast milk ... enough for the trip," she said. She said she familiarized herself with TSA rules, so she packed bottles with breast milk in a cooler in her carry-on bag. "I notified the officer that I was traveling with breast milk because they say that's helpful," she said. The officer passed the bottles through screening and then tested the outside of a bottle with strips, according to Shawstad. "And they basically said that it was setting off the alarm and that it wasn't passing," she said. She asked the officers to check it again but got the same result. What the TSA officer did next left her shocked and full of tears. "He walked away for a couple of minutes and came back with an empty bottle," she said. "It's my baby's food so of course I'm gonna cry and I'm gonna be upset. When someone dumps your child's food in front of you, it's not a good feeling." Shawstad reluctantly found formula at the airport. And after an emotional start to her trip, she went on her way. But weeks later, she can't shake off the upsetting ordeal. Especially because TSA rules allow for mothers to travel with breast milk. It's a message Shawstad wants every nursing mom to know. "Officers should not be dumping your child's breast milk," she said. "It's your child's food and you need to push back." She filed a complaint with TSA and said the agency has since apologized to her. "While TSA's top priority is to ensure travelers arrive to their destinations safely, we also strive to provide the highest level of customer service at our checkpoints," TSA said in a statement. "Officers are trained to screen breast milk, and medically necessary liquids, which includes procedures to resolve alarms. In this particular case, standard checkpoint procedures were not followed to resolve the alarm. "We've reached out to the passenger to apologize for any inconvenience caused during the screening process and scheduled a refresher briefing for all DEN TSA officers on screening oversized liquids, including breast milk."